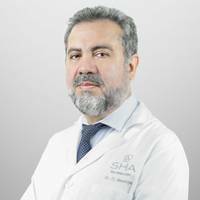 Dr. Mayorga is a surgeon, specialized in anti-aging medicine with a degree in Immunology & Microbiology and a specialization in Natural & Biologic Medicine. Moreover, Mayorga has experience in cellular activation, stem cells treatment and growth factors. He is currently the in-house medical consultant at SHA Wellness Clinic in Spain. SHA Wellness Clinic is a pioneering well-being clinic, focused on improving and notably lengthening people's health and well-being through the fusion of the best therapies. When its doors opened to guests in November 2008, the hotel and clinic started a revolution in wellness - the world's first macrobiotic wellness resort. SHA's objective is for its guests to leave after a pleasant stay, feeling renewed inside and out, more alive and energetic with a much healthier appearance. 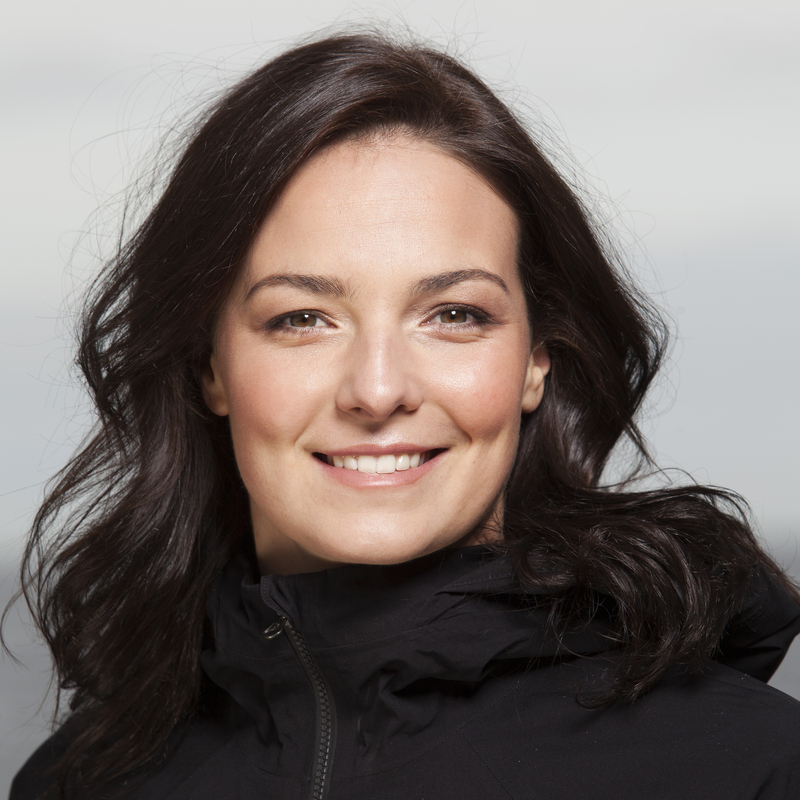 Keri-anne Payne is a British swimmer, specialising in marathon open water swimming, and long-distance freestyle swimming in the pool. She is a two-time World 10 km Open Water champion, an Olympic Silver medalist and the founder of Triscape. Damien Rider, founder of PACA (Paddle Against Child Abuse), stands firm by his calling to change lives and let disadvantaged children know that there are good people to help them. Also carrying the title of Men's Health Man for 2015, he furthers his mission by extending his reach and serving as a role model for kids everywhere. Together with his organisation, he envisions to build a beach safe house to start rebuilding the lives of broken souls by way of ocean sports communities, fitness and work ethics. Damien has broken world records paddling non stop from one coast to another, fighting off sharks and battling monster swells to help make his vision come to life. Wellness Consultant at Absolute Sanctuary, Stephanie originally became a therapist to fulfill a passion in empowering others to improve their health and happiness and inspire them to lead healthy lifestyles. With over 10 years of experience, she is able to work with her clients in a flexible, fun and caring way, creating a safe and supportive environment while exploring what really works for them. Stephanie not only conducts wellness consultations but also private sessions in clinical hypnotherapy, intuitive life coaching and smoking cessation programmes. James Golden is the founder and Managing Director of Target Fitness Retreats. 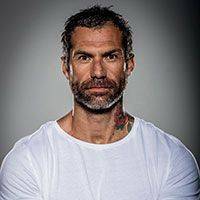 He has over 15 years of experience in the fitness industry, since graduating with a Sports and Exercise Science degree in 2001. 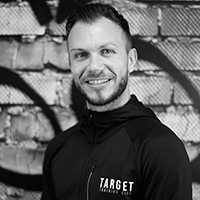 James has worked as a lifestyle and fitness consultant for the government, presented different forms of group fitness across the UK and spent time in fitness management, before setting up a personal training boutique club in Amersham, Bucks called the Target Training Club in 2010. The Target Training Club is the sister company of Target Fitness Retreats and under the vision of James, the companies are continuously evolving and achieving credibility for their quality and service. James has recently been featured in Men’s Health, Your Fitness and Brides Magazine. Mario Sella, Wellness Manager at Ti Sana, Italy, grew up with a passion for science and physical activity that has led him to his role today. His childhood interest developed into an academic qualification, gaining a degree in food science and technology. A qualified personal trainer, Mario also studied and now teaches ancient oriental disciplines such as Qi Cong and Wushu-Kung Fu. Using his knowledge of nutrition and fitness, Mario oversees diagnostic tests, physical activity and, of course, nutritional plans to help guests at Ti Sana achieve their health and wellness goals. Lee Holmes is a holistic nutritionist, yoga teacher, wholefoods chef and author of the bestselling Supercharged Food: Eat Your Way to Health, Supercharged Food: Eat Yourself Beautiful and Eat Clean, Green and Vegetarian. She is a columnist with Wellbeing Magazine and her articles have appeared in leading Australian newspapers and journals, as well as The Times and The Daily Express in the UK and The Huffington Post in the US. Lee’s blog won the overall award at the Bupa Health Influencer Awards in 2014 as well as the best blog in the Healthy Eating Category. 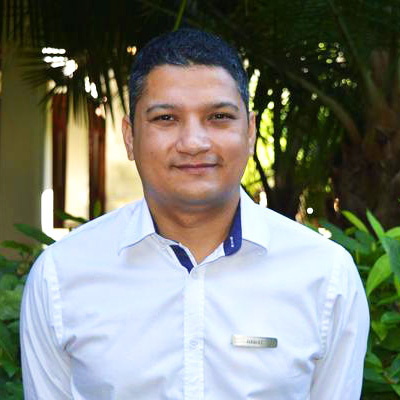 Deepak Rawat, Spa Manager at Shanti Maurice, Mauritius shares with us the health benefits of practicing yoga and Ayurveda on our mental and physical well-being, as well as explaining how the healing practice of naturopathy can naturally assist with chronic illness and stress-related symptoms. 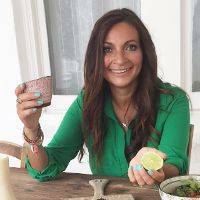 Lola Berry is a nutritionist on a mission to let the world know that healthy eating and living is easy and fun. She spreads her message via TV, radio, instagram, twitter, facebook, youtube, her website and in person, and her enthusiasm is contagious! Lola's energetic, offbeat approach to an often-complicated subject has made her one of the most popular personalities in the health space. She is constantly finding creative ways to help people make small achievable changes in their lives. Her third book, The 20/20 Diet Cookbook, became the number one lifestyle book in Australia. Lizzy Williamson is a certified Personal Trainer, Integrative Nutrition Health Coach, Presenter, Speaker and contributor to contributor to MindBodyGreen, BubHub, BellaMumma and more. Her workouts have been featured in Lorna Jane’s YouTube channel, news.com.au, as well as many other popular online publications, programs and blogs. 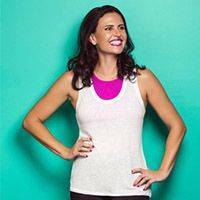 Her Two Minute Workouts are shared each week for free to thousands of women who have become part of her ever-growing community. She has also appeared on stage to speak and encourage audience to get out of their chairs and start moving, at Mum Society, Golden Door, Mama Creatives and Team Women Australia. Yvette Le Blowitz is the Founder of Spa it Girl, is one of the world’s top Luxury Spa Travel Reviewers, Writers, and Bloggers.She is also a judge for one of the Worlds Top Spa Industry Awards and recognised as being one of the Top Spa Influencers, Bloggers in the World. She was named and awarded also as one of Australia’s Top 50 Influencers in 2017. Her Spa it Girl Blog is read all around the world and she inspires others to feel good from within and to live their own authentic dreams. 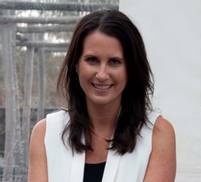 Lyndall Mitchell is Australia’s foremost wellness expert with more than 20 years leading the wellness sector in Australia. 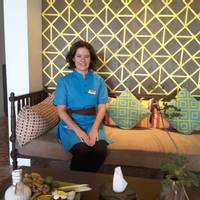 She is the Founder and CEO of Aurora Spa, the country’s award-winning urban spa that employs more than 100 staff. The spa is internationally renowned for treatments and products that maximize therapeutic benefits as well as delivering a sublime, restorative spa experience. Executive Wellbeing Coaching is a natural extension of her life experience in wellness. She offers her clients a deep knowledge of all aspects of wellbeing as well as insights gained from leading a fast-growth retail and wholesale business. Jessica Sepel is a clinical nutritionist, author and international health and travel expert. 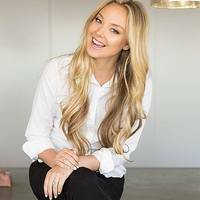 She is also the beloved voice behind 'JSHealth', passionately advocating how to achieve a balanced lifestyle through wholefoods and a healthy relationship with food to her vibrant social media community on Instagram, Facebook and Youtube. Jess is also a regular contributor to Vogue Australia's Spy Style, Well+Good NYC, PopSugar and MindBodyGreen and brand ambassador for CottonOn and Nature's Way Wholefoods and Vitamins. Jess's book The Healthy Life is based on her popular and previously self-published ebook The Clean Life. Natasha Corrett is a self-taught gourmet vegetarian chef and founder of Honestly Healthy¸ a leading alkaline-based food company which offers cleanses, cooking classes, food deliveries and tips for living a healthy lifestyle. The co-author of two best-selling cookbooks, Natasha’s passion began at the age of 16 when she spent the summer holidays with her father in the kitchens of Le Boudin Blanc, France. Having introduced the concept of “alkaline eating” to the UK, she now has a large celebrity following. 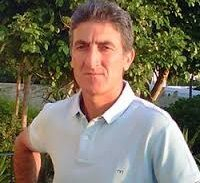 Ramon is director of Puente Romano Tennis & Fitness Club in Marbella. He heads the Bjorn Borg Tennis School, is a Technical Consultant for both the Norwegian and Estonian Tennis Federations, and has trained many professional athletes in the ATP and WTA. He completes the roster as a Consultant and Director of the Andalusian Wheelchair Tennis Team. Marissa is a holistic living and wellbeing consultant with over 20 years experience in her field and a lifetime working with alternative wellbeing practitioners. She’s an inspiring presenter, guest speaker and writer as well as a personal trainer specialising in flexibility, movement and rehabilitation. Marissa is the founder of Rocket and Beets and is passionate about empowering others through teaching the elements of health. Her Happy Body Lifestyle Program brings together the key elements of how to properly lay the foundations of a vibrant lifestyle and an enlivened energetically enriched body. The brainchild of young visionary Veer Singh, Vana Retreats is a manifestation of his belief in wellness, his respect for nature and keen interest in design and hospitality. Veer who was born in New Delhi, India spent a number of years in England and Spain. A man of varied interests, Veer grew up wanting to become a sportsman, a musician, a physicist and later a farmer. He plays tennis, enjoys archery, swims, dabbles with percussion instruments and endeavours to lead a more sustainable, balanced and mindful life. Veer has set himself the ambitious goal of making Vana, Malsi Estate the most iconic wellness retreat in the world. Suzie is a nutritionist and founder of The Primal Pantry. She transitioned to a paleo lifestyle 6 years ago, and decided to set up The Primal Pantry in 2014 after struggling to find healthy, on-the-go snacks that support a paleo diet. Suzie is on a mission to challenge the packaged food industry by forging a real food revolution. Dr Mantle is a Fellow of the Royal College of Pathologists, with a background in hospital pathology. He has an interest in the role of nutrition in the prevention and treatment of disease, and is medical advisor to the nutritional supplement company Pharma Nord.